In Google's latest move to assure advertisers of brand safety, it has updated its policies to more precisely target pages that violate AdSense's content rules. The first of the two updates, rolled out this morning, is the ability to remove ads from content that violates Google's policies at the page level. This includes adult content, content that is derogatory or dangerous, and content that promotes drug use. "Historically, for most policy violations, we remove all ads from a publisher’s site. As we roll out page-level policy action as the new default for content violations, we’ll be able to stop showing ads on select pages, while leaving ads up on the rest of a site’s good content," Scott Spencer, director, sustainable ads at Google, said in a post. This will cause fewer disruptions for publishers but if publishers continue to violate the terms, Google will still terminate their accounts with AdSense. In 2016, Google removed more than 100,000 publishers from its AdSense program and claims it reviews thousands of sites for violations each day. In tandem with an increase in policing, Google has also launched a policy center for publishers that use AdSense. This is meant to provide publishers with more transparency about why policy actions were taken and the violations that were found, including page-level action data, so they can quickly resolve these issues across all their sites and pages using step-by-step instructions, Spencer explained. The center will also make it easier for publishers to inform Google when issues have been resolved and the pages are ready to be re-reviewed. 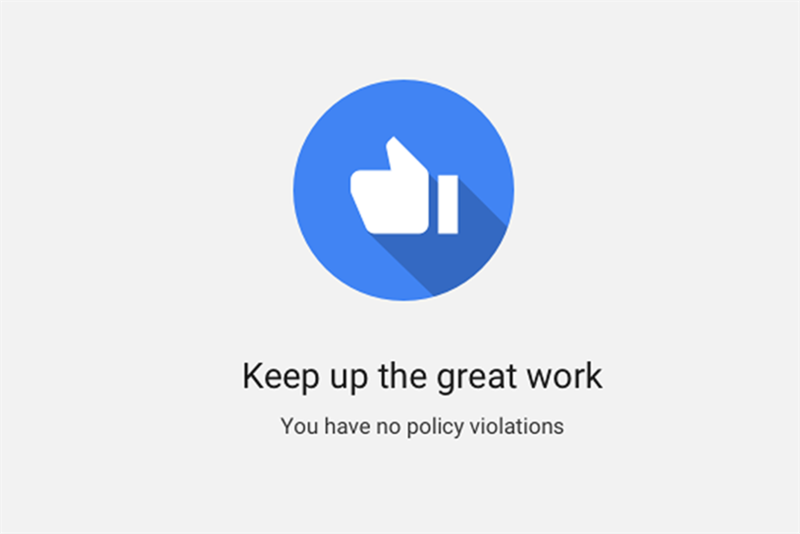 Google plans to add similar policy centers to its other publisher platforms, in addition to AdSense.